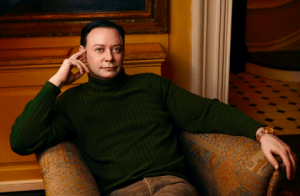 Andrew Solomon is a writer and lecturer on politics, culture, and psychology and a professor of clinical psychology at Columbia University Medical Center. He is the author of Far and Away: Reporting from the Brink of Change, an anthology of his international reporting, and Far From the Tree: Parents, Children, and the Search for Identity, which received the National Book Critics Circle Award for nonfiction as well as more than 25 other national awards. Far from the Tree was recently adapted into documentary film by award-winning director and producer Rachel Dretzin that premiered at DOC NYC in November 2017 and is distributed by IFC Films/Sundance Selects. His previous book, The Noonday Demon: An Atlas of Depression, won the National Book Award and was a Pulitzer Prize finalist, and has been published in 24 languages. He is also the author of The Irony Tower: Soviet Artists in a Time of Glasnost, and of a novel, A Stone Boat. His writing appears frequently in The New Yorker and The New York Times, and on National Public Radio. His TED talks have been viewed over 20 million times. Solomon is an activist in LGBT rights, mental health, education, and the arts. He is founder of the Solomon Research Fellowships in LGBT Studies at Yale University, and a member of the board of the National LGBTQ Task Force and Trans Youth Family Allies. Additionally, Solomon serves on the boards of the Metropolitan Museum of Art, Yaddo, and The Alex Fund. He joined the PEN America Board in 2012, and completed a three-year term as President in 2018.